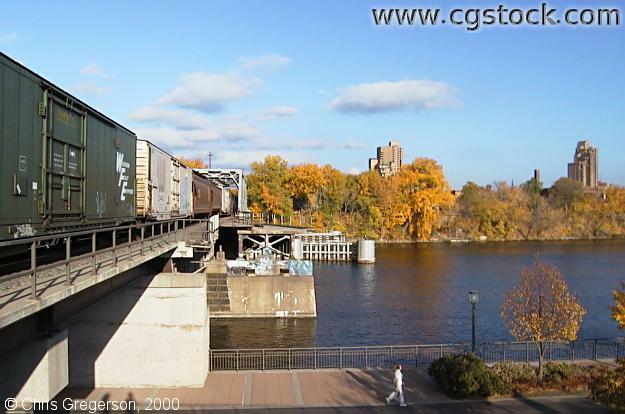 You are looking north at Nicollet Island from West River Parkway. The "Mississippi Mile" pedestrian and bike path is at the bottom of the frame. It crosses the Stone Arch Bridge to the east a ways.